Experiment with what can pass through the forcefield, figure out the rule, and reach your goal. 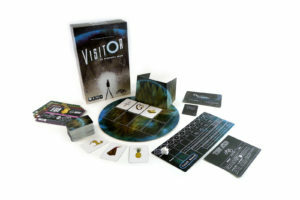 VISITOR is an asymmetric, 2-versus-many, inductive reasoning game in which one player, the Visitor makes up a secret rule like “Things that contain metal” to determine which objects can pass through the forcefield. 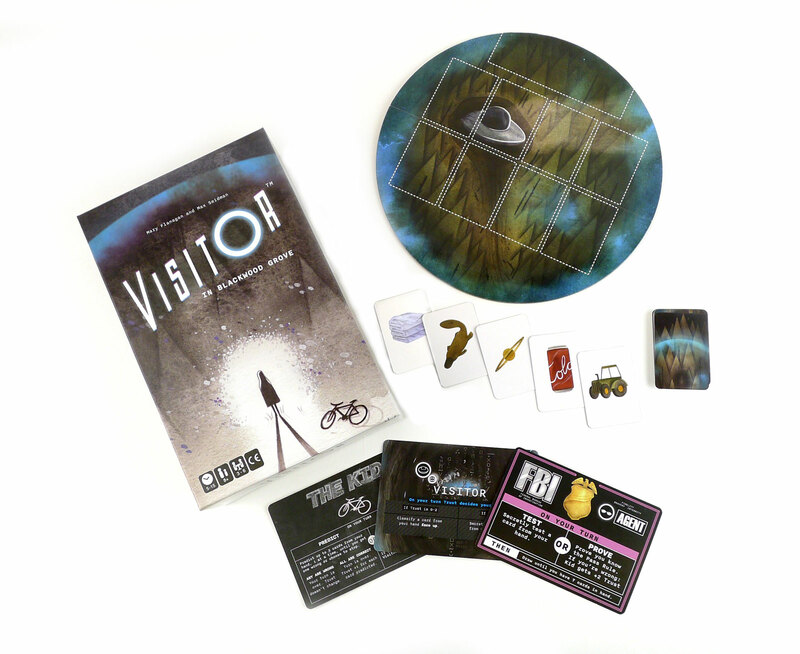 The other players, the Agents and the Kid, try to figure out the rule by seeing which objects pass through the forcefield and which don’t. The Agents secretly test cards from their hands to learn what passes the rule and what doesn’t. 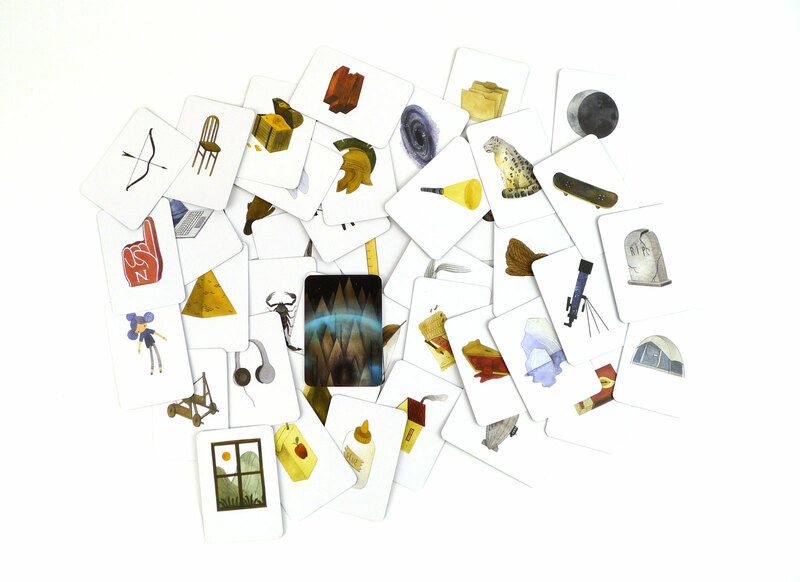 The Kid tries to predict which cards will pass the rule, and she builds trust with the Visitor if she’s right. 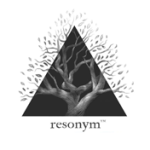 Cardboard Reality – Dylan from Cardboard Reality interviews Max Seidman from Resonym Games about their game Visitor in Blackwood Grove. The Laurels: Best Socializer Games Of 2018. Cardboard Republic. 5 March 2019. James, Chris. Top 5 Uniquely Designed Party Games (From the Perspective of a Casual Game Designer). Casual Game Revolution. 28 February 2019. Visitor in Blackwood Grove Review. Casual Game Insider, Issue 26, page 46. Winter 2019. Obenour, David. Visitor in Blackwood Grove Review. Ghettoblaster. 28 September 2018. Shipley, Nicholas. VISITOR IN BLACKWOOD GROVE REVIEW. 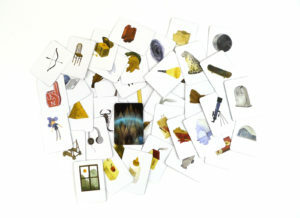 Everything Board Games. 12 September 2018. Annamous. Visitor in Blackwood Grove. Nonstop Tabletop. 3 September 2018. Provine, Jeff. Board Game Review: ‘Visitor in Blackwood Grove’ from Resonym. Blogcritics. 1 September 2018. Theel, Charlie. 80’s Nostalgia Meets Deduction On The Tabletop In Visitor In Blackwood Grove. Geek and Sundry. 15 August 2018. Giannini, Logan. 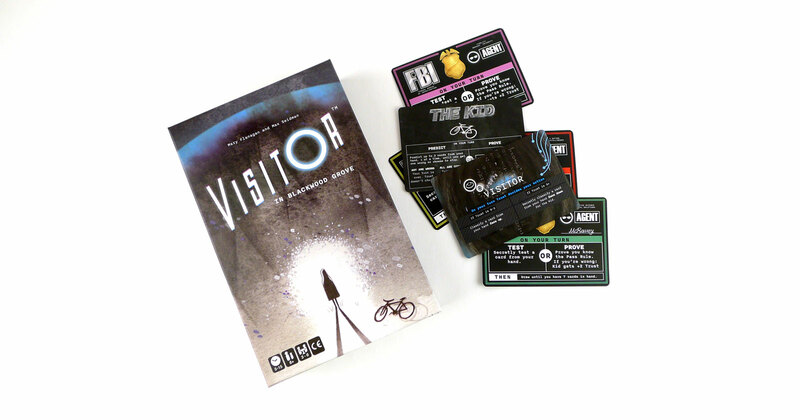 Visitor in Blackwood Grove Review – Aliens, Agents, and Kids, Oh My! Meeple Mountain. 3 August 2018. Liu, Jonathan. Visitor in Blackwood Grove is Out of This World. Geekdad. 1 August 2018. Hoffman, Mackenzie. Review of Visitor in Blackwood Grove. The Meeple Street. 28 July 2018. Hale, Josh. Visitor in Blackwood Grove. Meeple Gamers. 27 July 2018. Crowell, Bob. 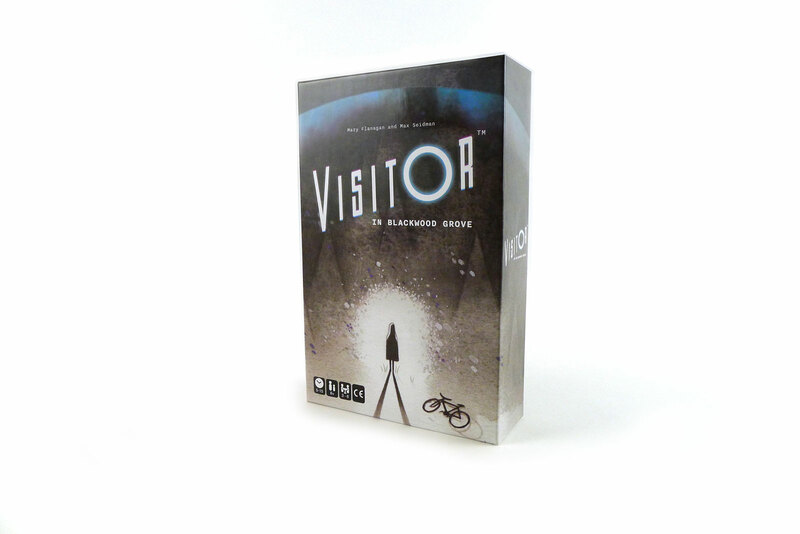 Review: VISITOR in Blackwood Grove. One Board Family. 16 July 2018. Episode 125- Origins 2018 & Two Player Games, Second Edition. Blue Peg, Pink Peg. 25 June 2018. LaFlamme, Ryan. Previewing: Visitor In Blackwood Grove. The Cardboard Republic. 25 July 2017. VISITOR in Blackwood Grove Game Review (prepublished version). Father Geek. 25 July 2017. Preview – VISITOR in Blackwood Grove. A Pawn’s Perspective. 25 July 2017. The Visitor in Blackwood Grove – Kickstarter Preview. Board Game Authority. 25 July 2017.